Derek Cole held a variety of jobs in HVAC before becoming a franchise owner in 2009. Franchise Players is Entrepreneur's Q&A interview column that puts the spotlight on franchisees. If you're a franchisee with advice and tips to share, email franchiseplayers@entrepreneur.com. Derek Cole has been in the heating, ventilation and air conditioning (HVAC) business off and on -- mostly on -- since graduating high school. 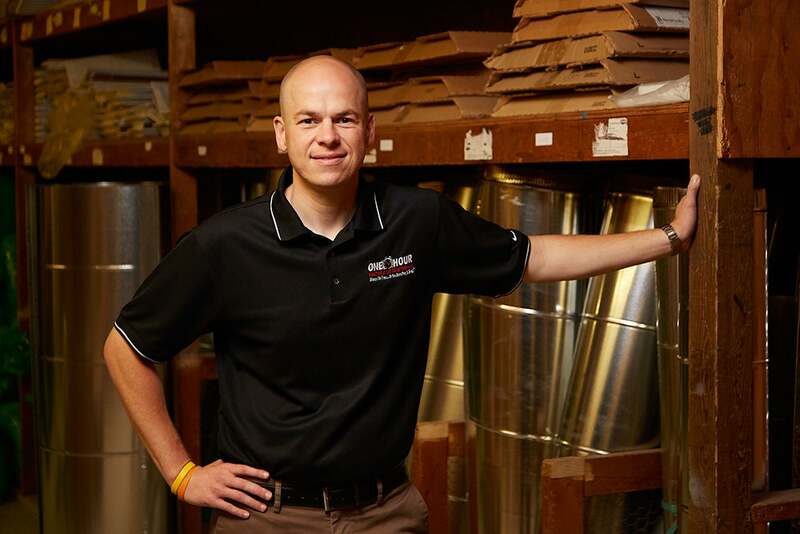 He took a break to attend college but then returned to HVAC to work his way up, at his former North Carolina company, from office helper to warehouse manager, and then office manager to operations manager. In 2009, Cole went to work for One Hour Heating & Air Conditioning, which appointed him general manager. He also became a franchise owner that year. And success followed: Cole was recently named to the Top 40 under 40 list in the HVAC industry trade publication The News. This franchise is a great example of what a franchise should be: great support, training, innovation and the process and procedures you need, to be successful. I was based out of Laurinburg, NC, with Simmons Heating & Air Conditioning, which had been in business since 1953. After visiting a nearby franchisee, and then the home office to meet with senior management, we knew it was the fit we were looking for and the direction we needed to go, in order to bring us to the next level. We invested around $122,000 in the initial purchase of the franchise and another $25,000 in rebranding to the brand. We visited another One Hour Heating & Air Conditioning franchisee and asked questions and learned from them. We also did online research on the brand and the management team. We read every word of the franchise disclosure document because we wanted to be as educated as possible. Becoming a franchise was a big decision for our company. We were well known in our local community with our previous name. Building the right team was a challenge. After learning the way to properly run an HVAC business, you have to get the right team in place to support the mission and vision. Get educated. Read the [disclosure document] at the beginning, and know what you are getting into. I have had numerous phone calls and face-to-face meetings with prospective franchisees, and we have the best support and some of the best training available; but it has to be used. You don’t go into a franchise and say, “I will take a little or this, but not that, and maybe some of this.” You need to be committed to flying the brand colors. I am not saying not to question the process along the way, but the core principles are what you need to follow to be successful. We are growing at a great speed, and our goal is to be the largest HVAC provider in our area and be the best place to work for our team. Our team is the reason for the success; they execute every day on what our brand stands for, and they keep our clients as the top priority.